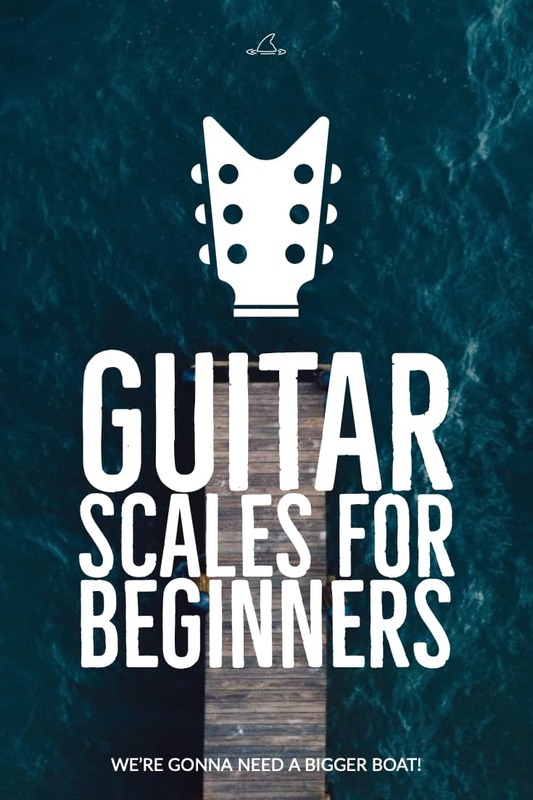 Scales build technique, strength and coordination in both hands on the guitar. Scales are the basis for all melody, solos and improvisation. Reading music above a rudimentary level is nearly impossible without some knowledge of scales. 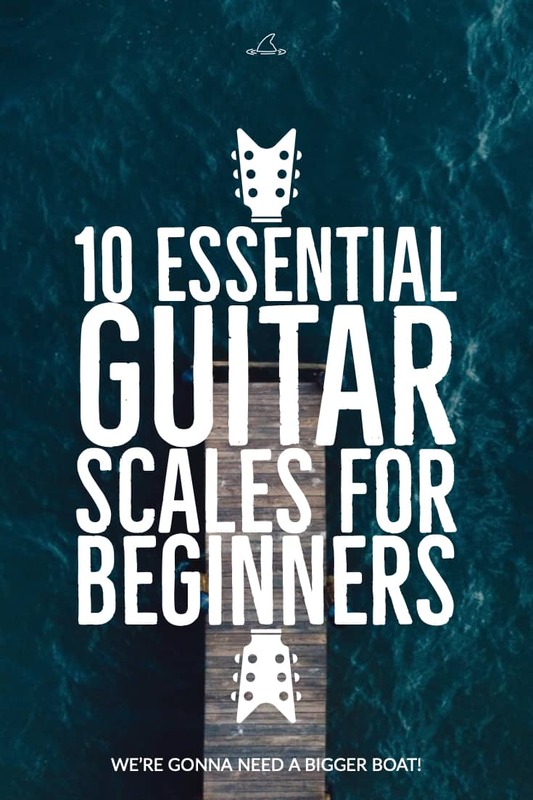 Essentially any time you’re not playing a chord or rhythm, you’re playing part of a scale… and even then, most riffs and chord patterns are based on scales. 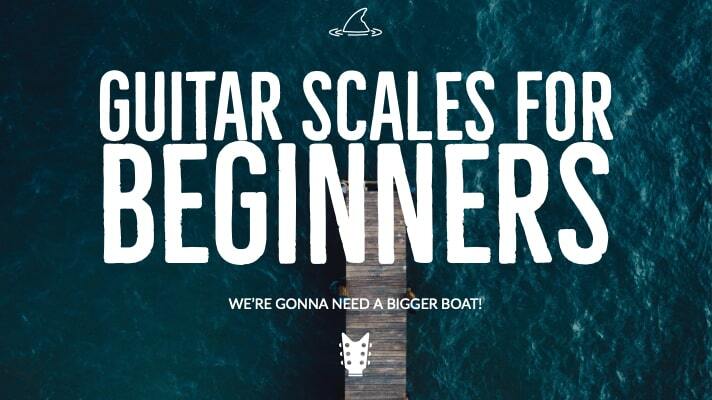 Adding scales to your daily guitar practice routine is easy and the benefits are well worth a little time spent. Let’s get right to it! A great place to start for beginners or anyone new to scale shapes is the good ‘ol open position. 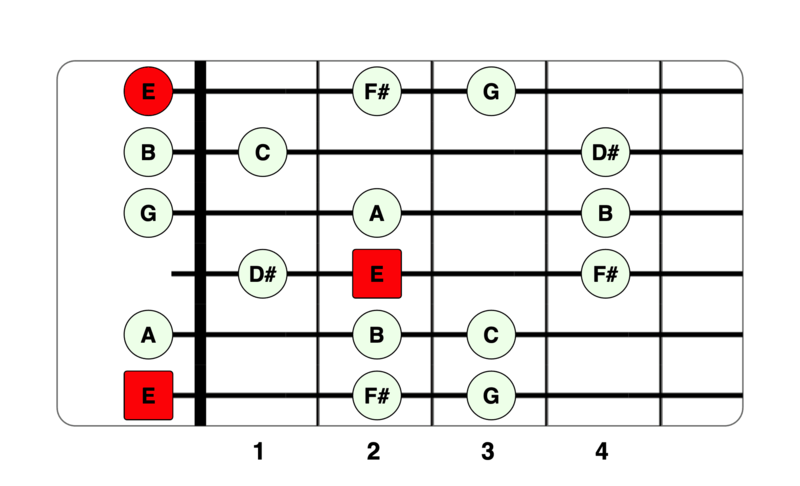 In all of the graphics below I’ve included the RED root notes as well as other neighboring scale tones for better fretboard visualization. 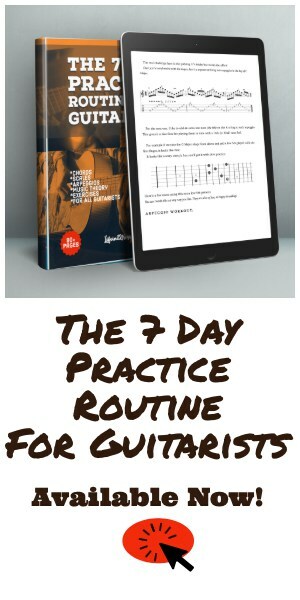 Take a look at the notes then play the TAB or standard notation exercises underneath each chart. Let’s start with C Major in the ‘open position’. The Red highlights indicate the root C.
Notice the starting point is on the root C and continues to the octave C before descending. When practicing scales, there are a few things to consider for both hands. Don’t lift or move your fingers any more than you have to. Keep movement tight and low to the fretboard. Get as close as possible to the high side fret. Start with only downstrokes until the shape is memorized and comfortable on the fretting hand. Alternate down and up strokes once you’re comfortable with the shape. Play each scale ascending and descending without stopping and without repeating the highest note. 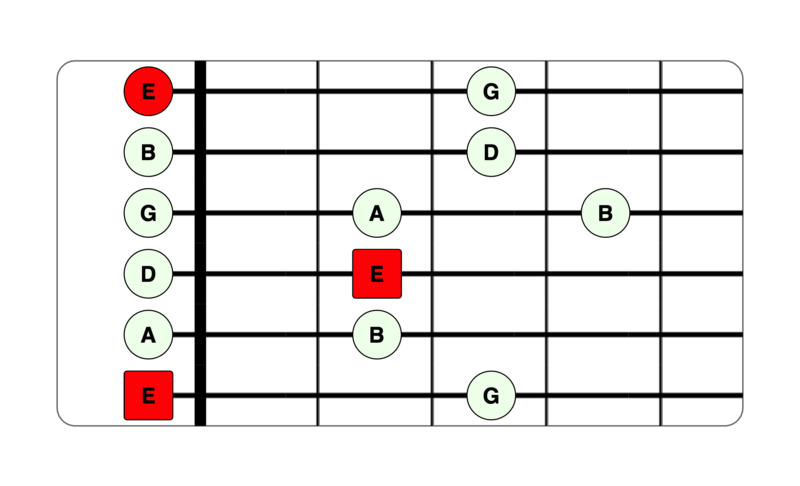 Scales and Theory for Guitar including the Circle of Keys. For the rest of you, let’s get to the other 9 scale shapes! The first thing you may notice is that the notes are the same as the C Major shape above. You’re right! 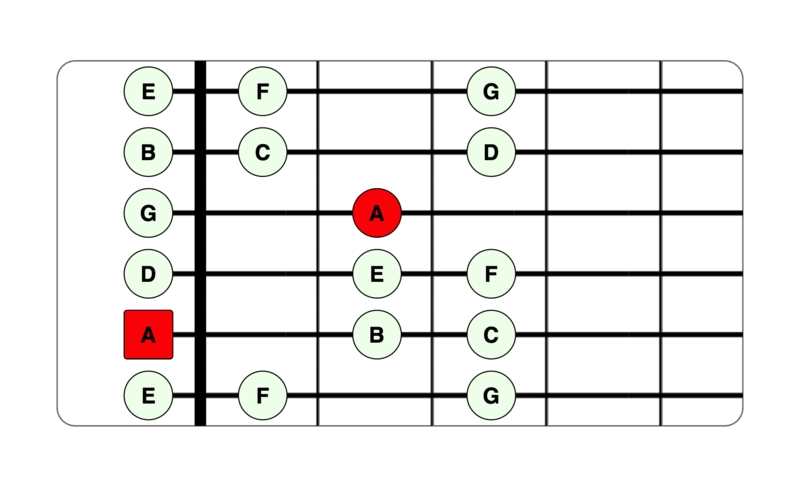 A minor contains the same notes, however, we start on the root A. Notice when playing a minor scale it has a slightly darker sound. Most people think of Major scales as being very “happy” sounding and minor scales more “sad” sounding. The scale below is in 2 complete octaves, meaning, you’re playing the entire scale twice in a row. Pay special attention to that pinky extension up to the 5th fret. It can be a bit a of a stretch so take it slow. Now let’s switch to G Major. Also played in 2 octaves, this scale covers all 6 strings. Notice I chose to play the 2nd B note on the open B string. E minor, the “relative minor” to G Major. 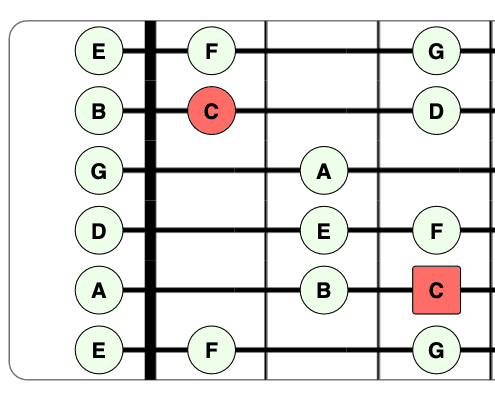 Pentatonic scales are the basis for most blues and rock guitar solos. It’s a cool sounding and easy scale to memorize. 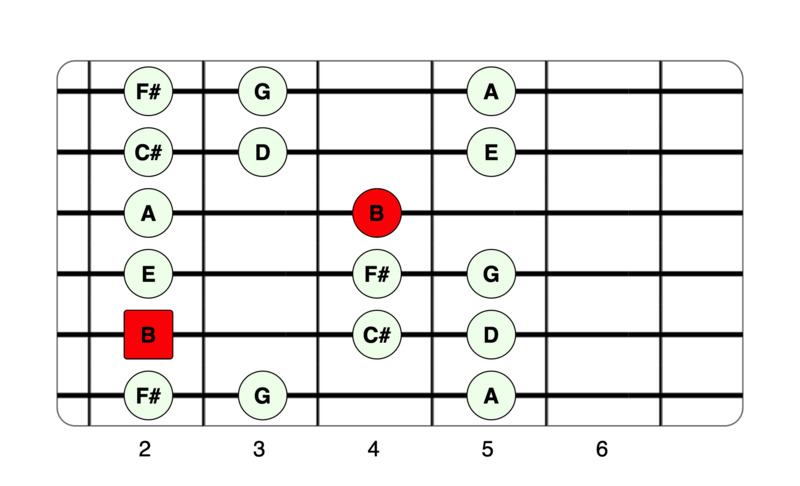 By adding just one note, we transform E minor pentatonic into a funky, bluesy, distinct sound. 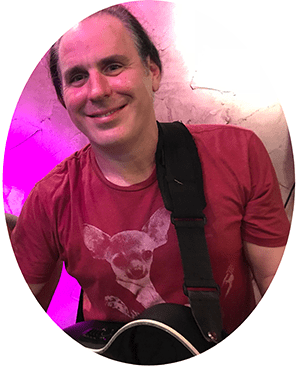 If you like the sound of these two scales, check out my in-depth free guitar lesson on pentatonic scales. Now lets move our left hand into the 2nd position. These closed (no open string) scale forms are the building blocks for soloing and improvisation. These shapes will get your technique in top form so you can move onto more difficult shapes and get them moving across the entire fretboard. 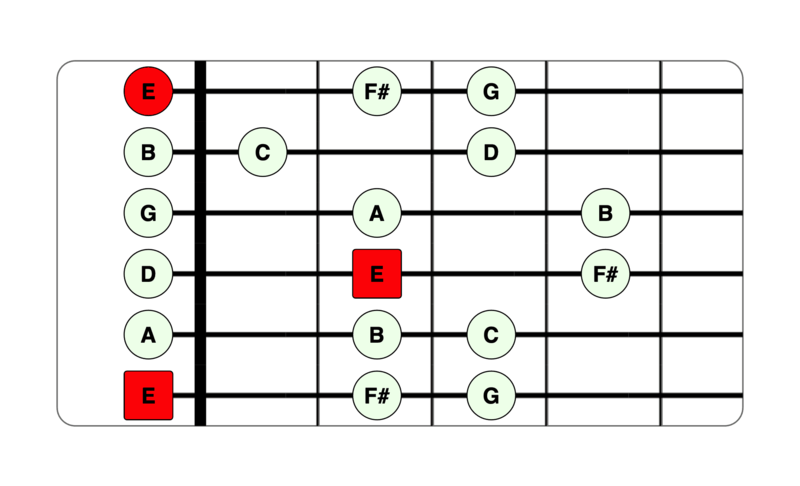 The same notes as the above C Major scale, but in a more common 4 fret spread. This particular minor shape is a cornerstone in every guitarists solo and improvisational toolbox. Hidden inside the shape are several major and minor chord and arpeggio forms. Another useful and common shape not just for beginner guitarists. TIP – Remember that you can move these closed shapes anywhere around the neck. Just pay attention to your root notes. 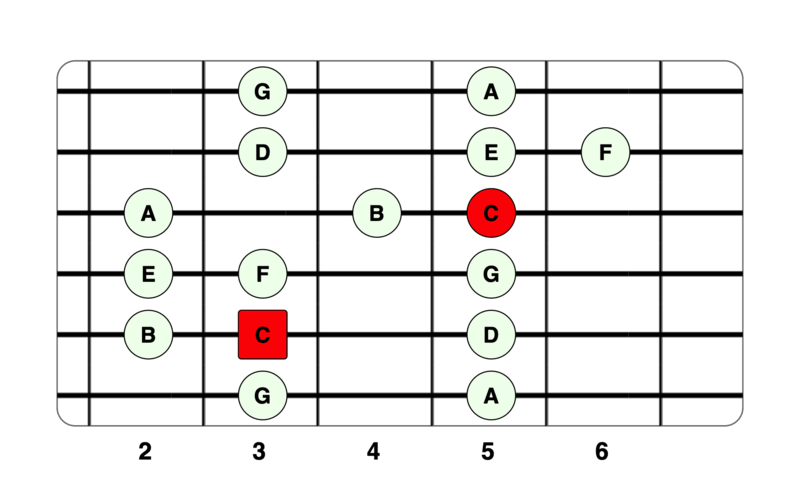 For example if you take the G Major scale above and move it to the 5th fret root, it becomes A Major. 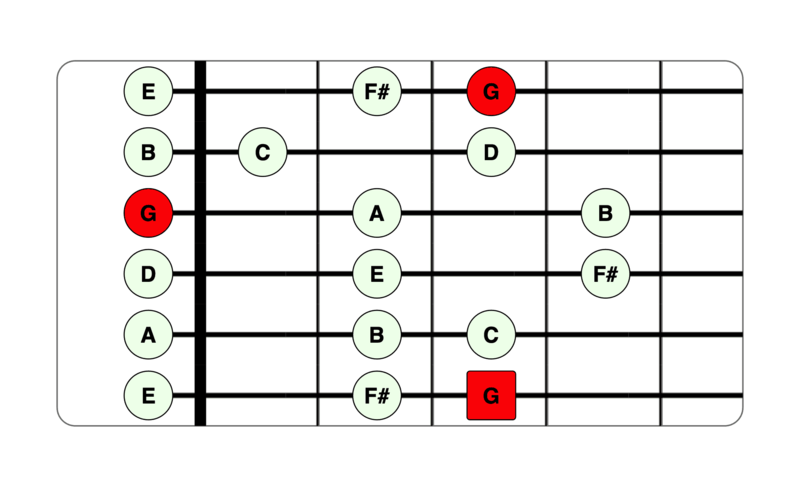 If you move the root to the 7th fret it becomes B major. For myself and my students, I’ve always thought of scales as the best way to warm up both hands. For beginner guitarists a good starting point is to get 10 clean repeats ascending and descending of each form above. If you’re feeling up to it, try introducing some alternate picking into it. Alternate down and up strokes through each scale, never playing the same stroke twice in a row. Once you feel comfortable with these 10 forms, it’s time to move on to some more advanced forms and modes. 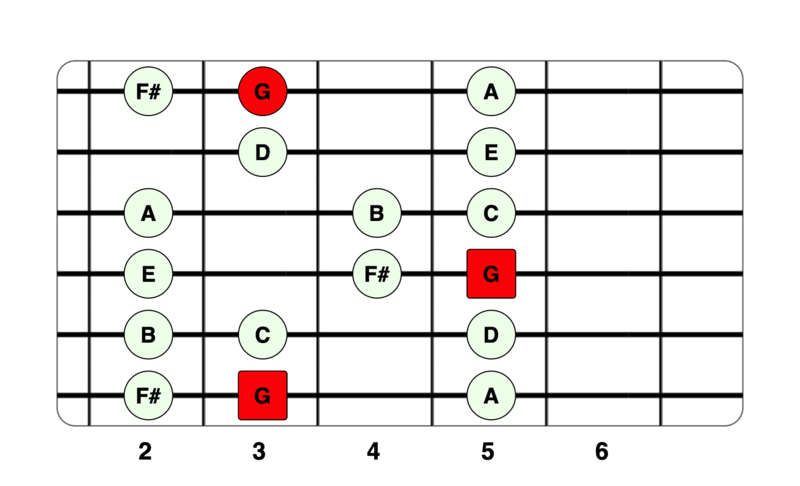 Modal Scales for Guitar, Theory and Workout. Hi Craig I think I’m one of the people you coached in last weeks email guitar coaching session that asked about this. This is exactly what I wanted! Thank you so much! I love your guitar lessons!